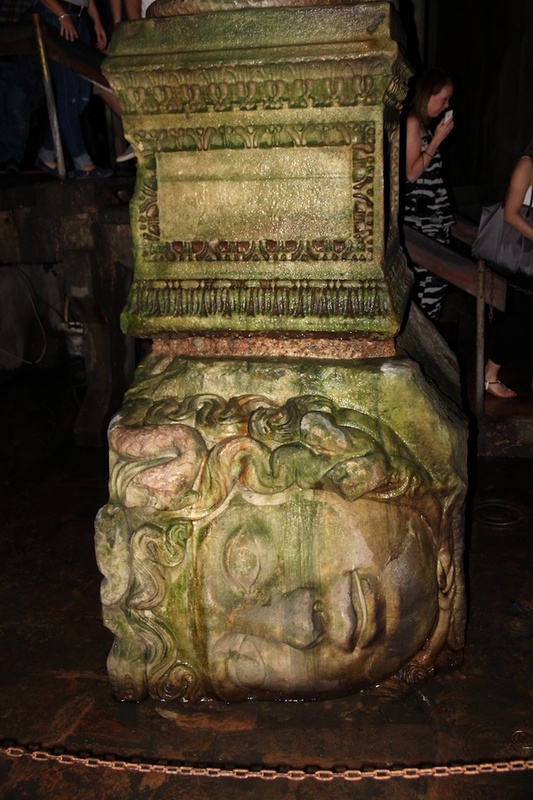 One of the many restored antiquities – and tourist attractions – in Istanbul’s Old City is a large underground water storage tank, the Basilica Cistern. 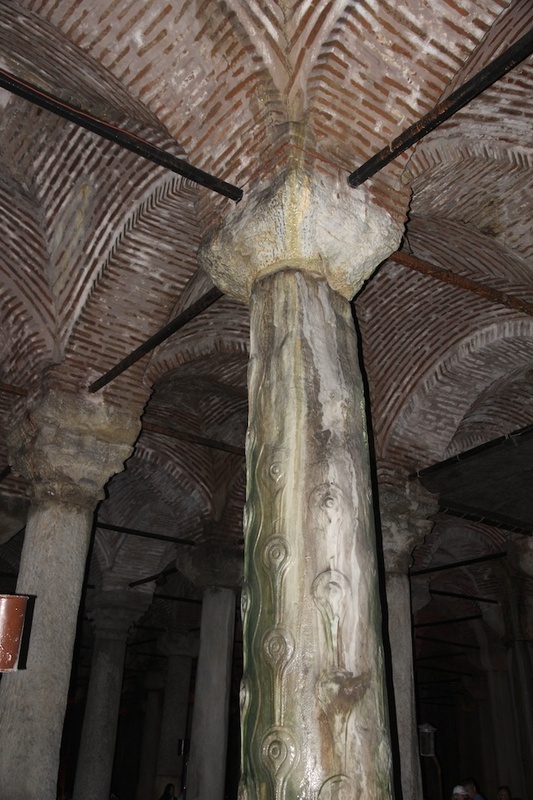 Just across the Hippodrome from Hagia Sofia and the Blue Mosque and a little way down the hill, steps beneath an unimpressive entrance building lead down to a forest of pillars (336 of them, according to wikipedia’s article on the structure and its history) supporting a multiply-domed roof. 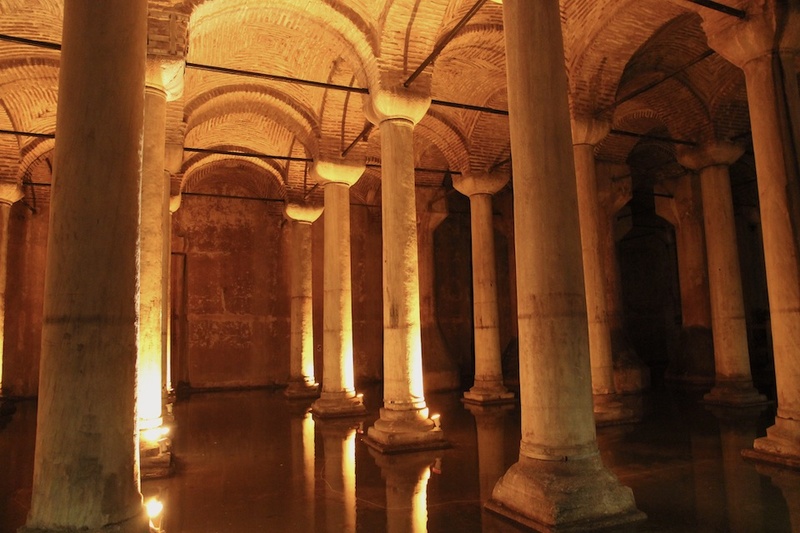 It was built in Roman times as the primary water supply for the Roman emperor’s palace nearby and lasted long enough to become a water supply for the Ottoman sultans’ Topkapi Palace. If you want more history, Wikipedia’s article is good and Istanbul Trails’ page supplements it. 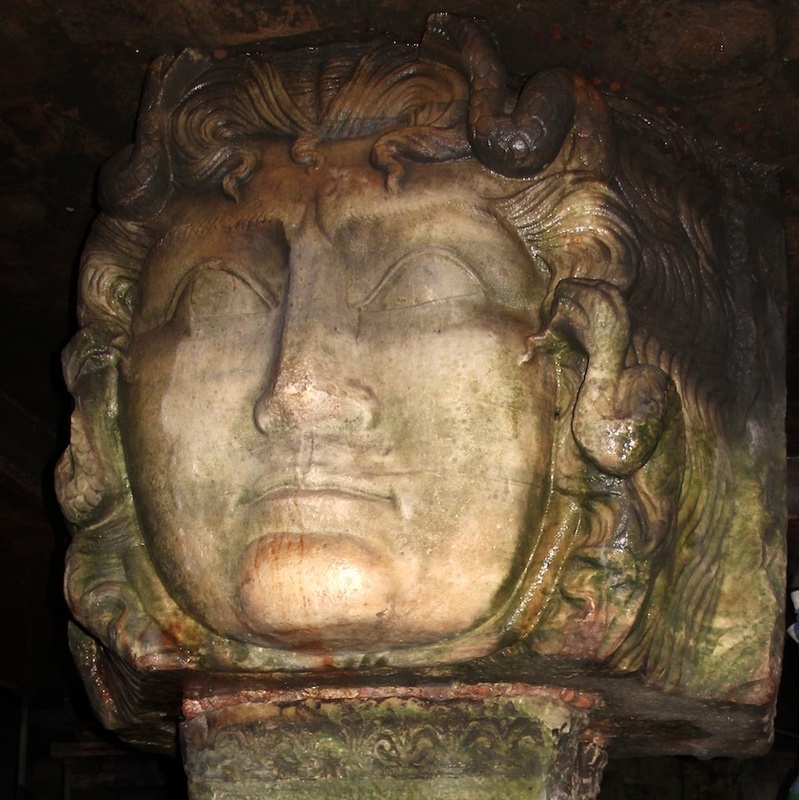 The cistern was restored in the 17th and 19th centuries and again in 1985, since when it has been open to the public in its present state, with a boardwalk winding between the pillars above half a metre of water. 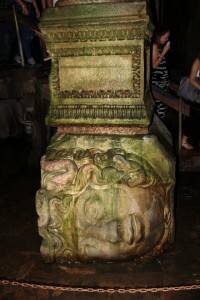 Most of the columns are plain but bases and capitals vary, and wikipedia notes that “the majority of the columns … appear to have been recycled from the ruins of older buildings.” At the back left-hand corner, as you stand near the entrance, are two columns resting on large carved Medusa heads. 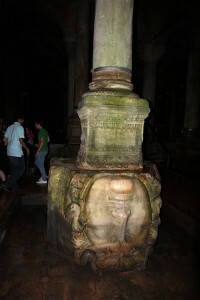 “Tradition has it that the blocks are oriented sideways and inverted in order to negate the power of the Gorgons’ gaze,” but the more obvious and sensible reason is that the blocks were placed and mis-oriented merely so that they were the right height for the too-short recycled columns they support.